Why It's Important To Work With A "Travel Specialist"
Not Just Any "Travel Agent"
Some of you may have read my post on Facebook about the couple who almost lost all of their money on a vacation to Jamaica. For those who didn't hear the story, a young couple saved up money for a once-in-a-lifetime trip to Sandals in Jamaica. They spent about $4,000 on the trip in total and booked with a travel agency in their area. Unfortunately, the travel agent they worked with specialized in Cruises and told them it would be okay to travel with a Passport Card. However they were flying to Jamaica and that meant they absolutely needed a Passport BOOK. Even though they asked a few more times, they were told the Passport Card was sufficient enough. So when they arrived at the airport with Passport Cards in hand and were told they couldn't travel, they were devastated. The first problem is that this couple came to an agency that specializes in Cruises to book a Sandals vacation. There are many different types of agencies out there, but when handling a very important and expensive trip like this was, it's best to search around and find an agent who specializes in exactly what you are looking for. Why? They know the products best. They've been to the destinations and their expert knowledge can be of tremendous value to you. Sandals works very hard every year to educate and familiarize their top selling agents, who they call their "preferred specialists". This is so those agents can go out and properly sell the resorts and clients like this couple can avoid situations like the one they ended up in. So what was the upshot of this story? Naturally, in an attempt to get some sort of help and reconciliation, the travelers contacted their local news channel, which then alerted Sandals Resorts to the situation and in what I consider an extremely generous measure, Sandals offered to pay for their new flights and allow them to use the money they already spent on the room to travel to their resorts at a later date. I can tell you, not many other companies out there would do something like this for their guests. 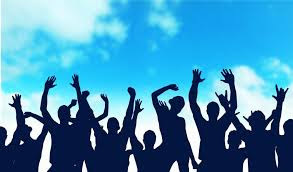 Now some may be thinking "Sandals only offered this because of the good publicity" and while I agree, the positive response was a great move on the part of their PR department, I also have the urge to defend Sandals as they have helped me out in a sticky situation before,. A situation where they saved the day, no questions asked, and no local newscast was alerted. I personally had clients heading down to the Sandals family-friendly property of Beaches in Turks and Caicos for a destination wedding during the Fall of 2011. The group was comprised of about two dozen guests who were all excited and eager to head down to Turks and Caicos for a wonderful week. That was until Hurricane Irene hit the island and caused the resort to close down just long enough that they would need to reschedule their trip or be relocated to a Beaches Resort in Jamaica. Not wanting to wait until the resort reopened, the bride and groom made the executive decision to move their group to Beaches Negril in Jamaica, and continue on with their wedding as planned. I went through the process of working with Beaches to have everyone accommodated at the new resort. Beaches even paid their change fees AND the airfare differences for everyone. Did Beaches have to do that? Absolutely not. That is what trip insurance is for, and why I always recommended it. Would other companies do that? It's not likely. But Beaches took care of my clients, and saved me from what could have been a very messy situation. This is exactly why I put my faith in and full support behind Sandals and their resort chain, because I know they are doing the same for me too. That is important to a travel professional who wants to see their clients happy and coming back to them again and again. So let this be just another example of the many reasons why I personally choose to do all of my business with Sandals and Beaches Resorts! 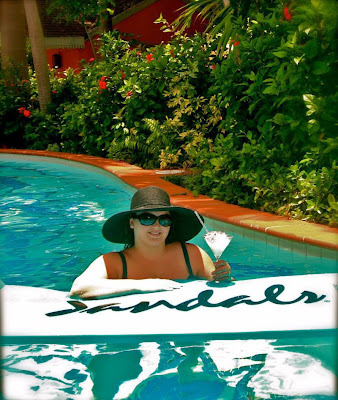 Everyone who knows me knows I love Sandals Resorts! I urge you, when searching for a vacation online, include a good professional travel agent in your searches. Find one who specializes in exactly what you are looking for. An agent who travels the Europe frequently will be much better at assisting you with a vacation to England, verses an agent who travels around the USA more frequently and has never been to Europe. There are great agents out there, who are spending a lot of time, energy and money educating themselves about destinations so that their expertise can be of value to you. Find them, and then protect your vacation investment by booking with them, and always, ALWAYS, take the Trip Insurance protection. But that's a different blog post topic. 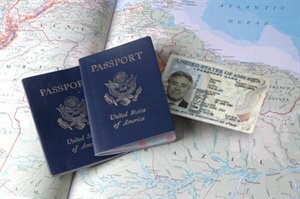 How To Find The Right Travel Specialist?